When you want an electric car that boasts extreme practicality and the latest technologies, the 2017 Toyota Prius Prime is the solution. As a true green car, it has an advanced plug-in hybrid powertrain that saves on gas and pollution. You also get striking good looks and surprising amenities, demonstrating that saving the planet doesn't have to come at large sacrifice. 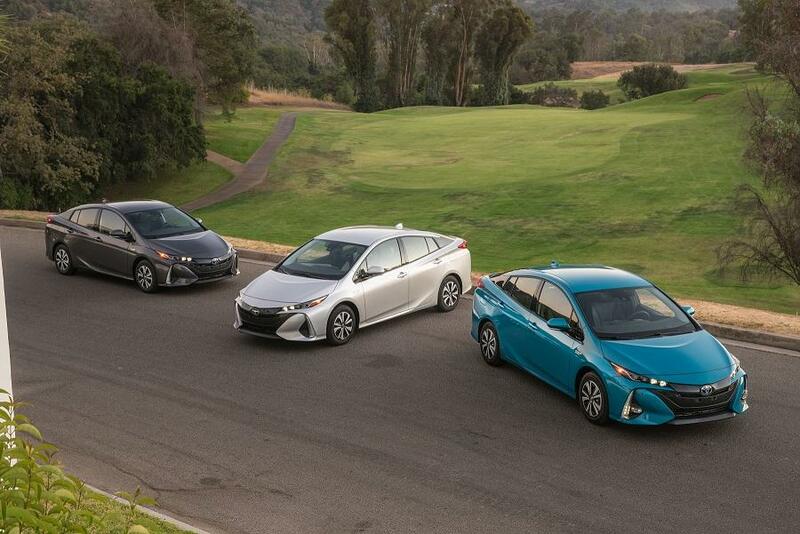 There are fuel efficient cars, and then there's the 2017 Toyota Prius Prime. A peak 121 horsepower is made by the hybrid setup, which is plenty to take on all kinds of conditions. One component of the powertrain is a 1.8-liter DOHC four-cylinder gasoline engine. It uses variable valve timing with intelligence to maximize each drop of fuel. Paired up to it is a permanent magnet AC synchronous electric motor, which is rated at a maximum 600 volts. An 8.8 kWh lithium-ion battery feeds the motor. Sending power to the front wheels is an electronically controlled continuously variable transmission (ECVT) that runs efficiently and smoothly. Drivers enjoy a sporty handling dynamic, thanks to the independent MacPherson strut front suspension and double-wishbone configuration for the rear. Disc brakes are included for all four wheels, plus regenerative braking to help recapture lost energy and boost efficiency. As a premium vehicle, the 2017 Toyota Prius Prime is loaded with safety features. For example, all models come with the Star Safety System, which bundles together antilock brakes, electronic brakeforce distribution, brake assist, smart stop technology, traction control and enhanced vehicle stability control. Toyota Safety Sense is standard for all trims, bundling together numerous items for a more comprehensive approach to safety. Among them are automatic high beams, a pre-collision system with pedestrian detection, lane departure alert with steering assist and full-speed range dynamic radar cruise control. You can increase safety further by adding Safety Connect, which includes automatic collision notification, among other services. A color head-up display projects vital information onto the windshield, right in the path of the driver's view, so you don't have to look away from the road as much. Blind spot monitor, rear cross-traffic assist and intelligent clearance sonar are all available, too. Enjoy supreme comfort with the 2017 Toyota Prius Prime, because the interior is a cut above most. Drivers and front passengers are held in place with large seat bolsters, with either premium cloth or SofTex upholstery available, plus heating and ventilation. Thanks to 60/40 split-folding rear seats and a wide hatch, loading big items into the car is simple. Drivers can configure the 4.2-inch color dual multi-informational display, helping them to easily manage the plug-in hybrid powertrain. Controls mounted on the steering wheel make navigating through the different display options simple and convenient. Drivers can use an available 11.6-inch HD infotainment touchscreen. It works with tapping, swiping and pinching, so you'll find it to be quite user-friendly. Navigation, apps and more are all accessible through the system. 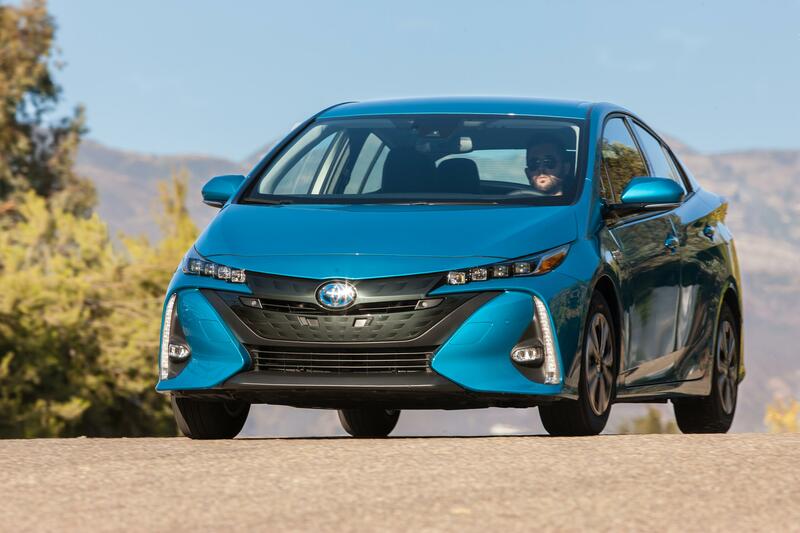 Many more amenities are included or available for the Toyota Prius Prime. Contact us to learn more and schedule a test drive.